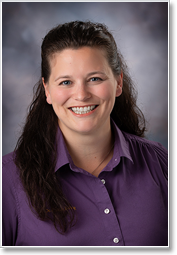 Hello, I am Colleen Boling, an associate doctor and hometown girl at Innovative Health. As a child growing up on a dairy farm in Easton, Wisconsin, I knew I wanted to help others as a health professional. My father, sister, and I were all chiropractic patients. Experiencing the positive effects chiropractic had on my family’s health and quality of life inspired me to work hard to become a chiropractor. My primary focus has been adjusting and restoring balance in infants and children. My desire is to be an active part of helping children to grow and develop into healthy, well-adjusted young adults. I currently reside in Weston with my family. Manual adjusting (diversified) is my preferred care approach, but I am also proficient in activator and drop table and am certified in Webster’s technique. I am also certified by the state of Wisconsin for nutritional counseling. I am anxious to meet you and guide you through a rewarding chiropractic experience.